Siet Fast 10 years of faithful service and excellent sound! 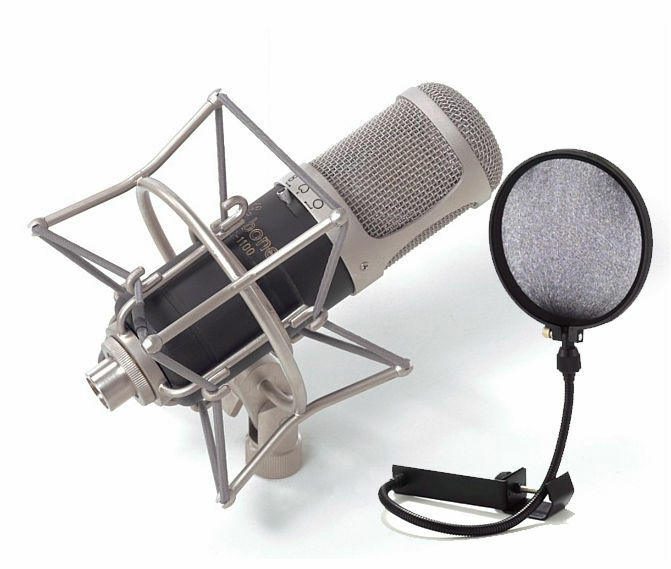 I have ordered this great microphone from Thomann in 2004, because in a test with large diaphragm microphones from 100, - to 1000, -EUR this on the 2nd or 3rd place came ... VERDIENT !!! I then ordered the T.Bone SC450 for comparison, which had lost within seconds of the test quite clearly. In the studio I then compared it with various big brand names like AKG, Sennheiser, Neumann, etc. and yes, one hears a difference, but it is sooo small that I do not find the 10-20fachen price justified! These are nuances, which are only important for ultramlatten hochglanz productions, even 3 friends who own a recording studio, I have already borrowed this micro because it offers such a warm rich and at the same time clear sound. The microphone hears everything! It is very sensitive. And it sounds for me usually EXACT like in the room itself belongs! (Which I unfortunately had even a 1000, - EUR micro once complain, just in direct comparison). The workmanship is sturdy, the micro has already undergone various falls and it is nothing to note! Perfect for singing and great also for acoustic guitar. The corresponding aluminum case is very stable. And also very well processed. For small indiestudios highly recommended! For full pros with equipment worth tens of thousands: Finger way and please pay the best of the expensive !! PS: Have tried synonymous already for hard distorted electric guitar tried to lose, but it worked, but the sound was not enough for my desires. Because I stay with the common Shure SM57 or Sennheiser E906, plus Basedrum Micro. I use it for 4 years for recording male tracks. Very satisfactory, precise, reliable and robust. A little generous in the high medium, marked sensitivity to the whistles and plosives. The combination with a good pre-amp lamp should give it a bit more roundness ... much better than most static twice as expensive. ID: 203865 © 1996–2019 Thomann GmbH Thomann loves you, because you rock!